For many reasons, individuals around the UK look to their driving capabilities for future employment opportunities when times are tough. However, in order to gain employment for specific positions, you will need a certain category on your driving licence. In some cases employers will need to confirm that you are able to drive category B+E vehicles before they will even consider you for a position. Unfortunately, if you are unable to prove that you can drive these vehicles, your application will come to a very abrupt ending. There are a number of ways you can prepare to take your B+E test. These are the most popular. The Internet is a wonderful place and also quite worrying at the same time. However, there are many learning resources that are available for free online. 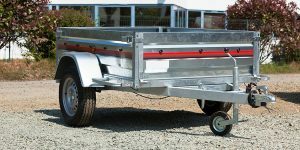 There are so many private bloggers and national organisations that provide some really useful information on driving larger vehicles, but nothing compares to the physical trailer training that you can get with a confirmed driving instructor. With both Vimeo and YouTube available for free, there is plenty of places and resources to call upon for free training videos. Many recognised driving schools will actually create teaching videos to publish on these sharing sites in a bid to get you to take trailer training lessons with them. At present in the UK, driver safety is at an all time high. There are so many new laws that are currently being prepared that aim to give HGV and LGV driver a little more protection. Amazon is a great place to look for some additional training and coaching materials. You can pick up a decent guide for less than £20 and you will be able to get to grips with the basics of driving a B+E vehicle. This is single handily the best way to gain your B+E licence. Contact local driving schools to see of they are able to perform fleet or additional category training and book some trailer training lessons.